I can spend hours researching, shopping and cooking for a special family dinner or a night entertaining friends. I get lost in cookbooks and food magazines. I love the feeling of anticipation as I turn the page, wondering what is out there next to discover. It’s what really jazzes me. Do I feel that way about utilitarian weeknight dinners? Um, maybe not so much. My confession is I sometimes struggle getting weeknight dinners on the table. Don’t we all? In a perfect world I have a plan for the week, the right ingredients in my coffers and the time to cook. On a daily basis my world is far from perfect. That’s why I love this soup. It’s in the arsenal of recipes I pull out for just those nights when my family is hungry and ready to eat, but I have not spent a second thinking about what’s for dinner yet. It has a flavor punch that belies how quick and easy it is to make. It uses staples from my pantry and refrigerator, so no trip to the grocery store is required. It gets gobbled up and leaves my family with smiles on their faces and a warm and full belly. Saved by the soup. If you are a regular reader of my blog, you probably already know I am a minimalist when it comes to letting equipment come into my kitchen. I’m a little disorganized by nature, so I don’t like tons of fancy gizmos and gadgets cluttering up my kitchen drawers. A piece of equipment has to be a workhorse if I let it have a home in my home. I do love telling you though about the equipment I have and use and can’t do without in my kitchen. 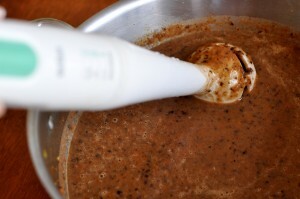 One of my favorites is the stick immersion blender. I can’t imagine making soup without it. 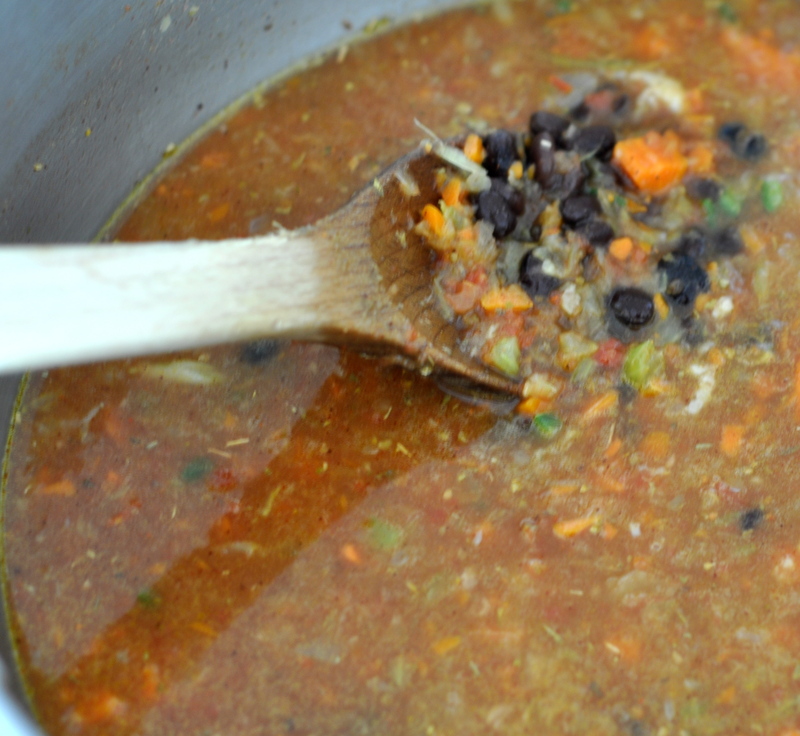 The black bean soup today gets pureed. Before I had the stick immersion blender, pureeing required transferring hot soup to a blender, blending it and then transferring it back into the soup pot. Really messy and time consuming. But now I can stick the immersion blender right into the hot pot of soup and give it a few whirls. Presto! Scrumptious made from scratch soup. The blade quickly twists off the motor assembly and goes right in the dishwasher. No mess, no fuss, just the way I like it when cooking weeknight meals. This is the soup assembled, before pureeing. After the puree. Presto! That looks much better. Chop the carrots, celery and onion. It's perfectly fine to throw them in a food processor to chop if you have one. Sauté onions, carrots and celery in olive oil over medium heat for 5 minutes until tender. Add garlic and jalapeño, sauté another couple of minutes. Add rinsed beans, tomatoes, chicken stock and spices. Bring to a boil, reduce to a simmer and cook for 5-10 minutes. Puree with a stick blender right in the soup pan to desired consistency. If you like more heat, add some crushed red pepper flakes. If the soup is too thick, then add more stock. 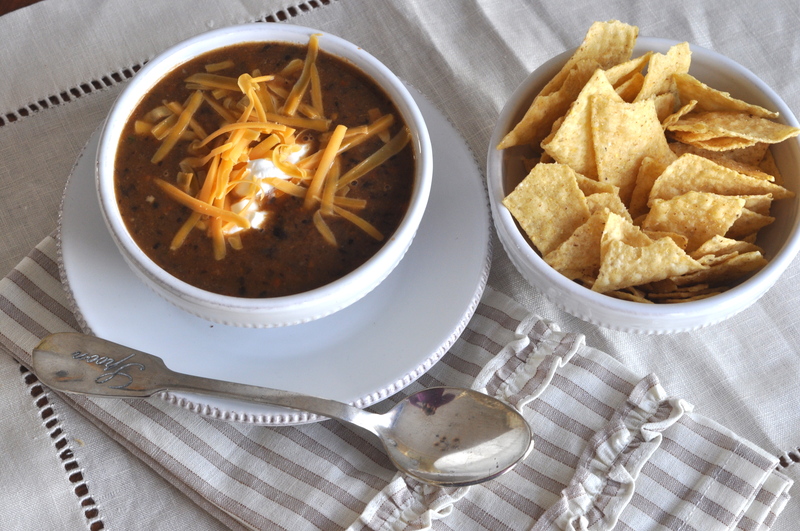 If the soup is too thin, then let it cook for a few minutes longer and it will thicken. Serve with tortilla chips, grated cheese and a dollop of sour cream. Enjoy! 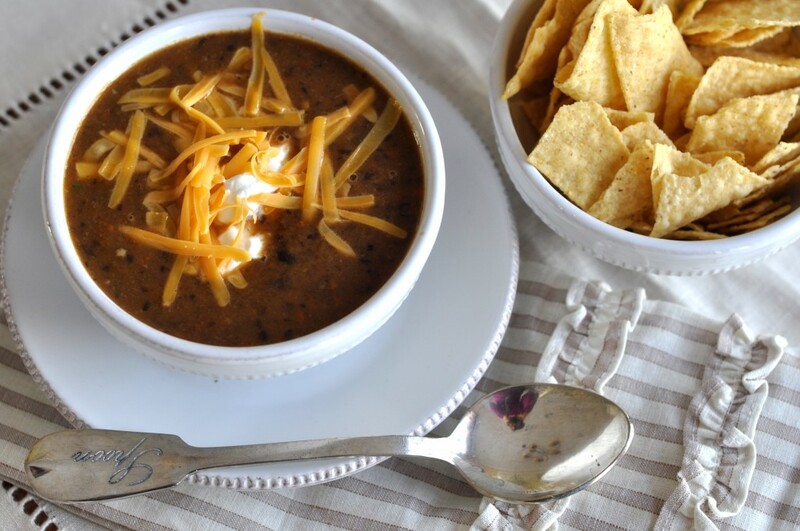 Great soup during the week or “left over” for the weekend. It like Cathy get’s better with time!!!! 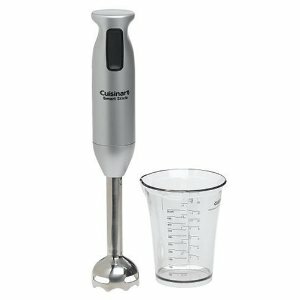 I want one of those immersion blender thingies. let’s get that on your christmas list ASAP! Such a great recipe! Wonderful flavor and very healthy for the family. I’ll be keeping this one in mind for parties too.